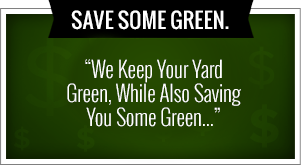 Green Leaf our professionals when it comes to Tulsa Holiday Lights and so much more for all of your Tulsa lawn care. Our services include sales, design, installation, maintenance, takedown, and storage of all your Tulsa Holiday Lights needs. We been servicing this area for a number of years and we offer a wide variety of holiday lighting options to choose from. Us for your holiday lighting in the Tulsa area. We’ve been decorating homes in the Tulsa area when it comes to Christmas needs for a number of years and our customers are always loyal and satisfied to stay with us. If you’re looking for a company that will provide superior service then it’s time to make us your first choice. 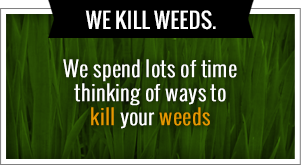 Our numbers 918-640-6405 and you can reach us online anytime at www.greenleafweedcontrol.com. Meet the Tulsa Holiday Lights experts at Green Leaf Lawn. We want you to never untangle and unruly box of Christmas lights or plug up your electric menorahs again! Large or small, automated or static, our goal is to create the holiday display you always wanted. Green Leaf Lawn will let you and your family express your holiday spirit without the hassle of hanging out those pesky lights. In addition to our landscape and maintenance services, we offer a large quality holiday lighting service that just can’t be found anywhere else. From installation to custom design consultation, will meet with you to determine the best suited for your holiday needs this year. Give us a call today at 918-640-6405. You can also learn more about our Tulsa Holiday Lights on our website at www.greenleafweedcontrol.com. Are Tulsa Christmas Lights installation services and Tulsa Holiday Lighting Installation services will leave your home looking amazing. Your home will definitely look spectacular after a service has been installed onto your home. The experts at Green Leaf promise to do a great job and practice with much responsibility. We look forward to servicing all the people of Tulsa whenever they need holiday lights and Tulsa Holiday Lights on their home. The last benefit to hire green leaf is that the entire process of installation will be very fast. You won’t have to worry about the process taking too long, because from our experience, we can do most Christmas lights installations in only a matter of a day or two. Despite the fact there are plenty of light installation companies out there, that doesn’t mean all are worth hiring. Green Leaf Lawn has proudly served the Tulsa, Oklahoma area for many years with landscaping, irrigation, and Christmas light installation.